RUSH: Chris, in Memphis, as we start on the phones. And this is gonna be not related to anything I’ve said, but that’s what Open Line Friday’s all about. So, Chris, you’re up. What’s happening? How you doing? CALLER: I’m doing well. Thank you for taking my call, Mr. Limbaugh. 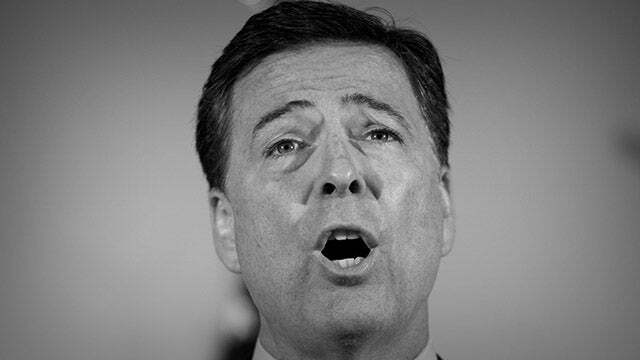 CALLER: I just wanted to let you know that if you try to give James Comey’s book less than a four-star review on Amazon, not only will they block you from doing so, but they basically warn you that you could lose your privileges, your Prime privileges for what they deem abuse. RUSH: Is that right? If you try to give it only three stars or two stars, they threaten you with losing your Prime subscription? CALLER: You basically get a message that says they’re not going to accept it for worries about abuse. And then you’re referred to their terms and policies which basically say that if you are somebody who engages in abuse, that you could lose your privileges. RUSH: Okay. Just so I understand, because I don’t do ratings at online stores, so I’ve never done this. Are you telling me — I imagine you can give it one to five stars. Right? Is that the way it works? RUSH: So if you try to give Comey’s book three stars you are given a message warning you that you are abusing the system? CALLER: Yes, sir. If you look on Amazon and you see the book, you can see that there’s only four- and five-star reviews on there, so it’s misleading not only for the fact of rating, but people who are potentially buying the book, when you look at an item, you look at the review, like if other people have liked it. So if you look at his, you know, you see however many reviews, and every one of them, and they’re mostly five-star, but they’re four- and five-star. RUSH: And so you think this whole thing is illegitimate because they’re not allowing people who don’t like the book to review it? RUSH: Aw, come on. If what you say is true — Snerdley, are you attempting this right now? Is that what you’re doing? The Official Program Observer is seeing if this happens to him. You know, I don’t read reviews of anything. I don’t look at stars or ratings or anything. If I want something, I buy it. If I don’t, I don’t. I don’t look at reviews for movies. I don’t look at reviews for TV shows. I read them for show prep, but not to determine whether or not to watch ’em or buy them. As a powerful, influential member of the media, I have to absorb all this stuff anyway. And a lot of it is offered to me gratis, but I don’t accept it. I don’t want any obligation to anybody. But look, Steven, we’ll check this out. If what you say is true, is anybody surprised? Is anybody surprised that Amazon would not permit anything less than a four-star review for the book by St. Comey? Come on! However, one of my staffers got the same message when he tried to give it a four- and five-star review, not just a one-, two-, or three-star. When he tried to rate it anything, he got the same message. Now, Amazon has the ability, folks — (laughing) — they may know who you are. They know your purchase history. All you have to do is log on and everything you’ve ever done with Amazon is right there on the screen if you want to find out. You want to see your orders, you want to see your searches, it’s right there instantly, the minute you log on. So if you’re the kind of person that reviews things, reviews political books, they know it. And if they know that you routinely give negative reviews to liberal writers, they may decide to shut you down. Everybody talks about Facebook, and everybody talks about Google. But you have to include Amazon in this. You know, Amazon Web Services — do you people know about that? Have you ever heard of Amazon Web Services? Amazon has the largest server farms in the world. Apple leases space on Amazon servers for iCloud and iCloud Drive. The U.S. government buys space from Amazon Web Services to run some of their data. This is one of the first things Amazon did at the same time they were going Big Retail. They’ve got the largest data server business. It is massive. They have worldwide clients. You didn’t know that? Amazon Web Services, AWS. Google it. Look ’em up on Wikipedia. You’d be shocked. So if you start talking about Facebook and Google and so forth, you gotta throw the Amazon guys in there as well. They lease server space, cloud data storage space to practically everybody you’re doing business with.